Care for Vision - Miacare - BenQ Materials, the world's top 4 manufacturer of polarizer. Vision care products are an integration of optical technology, material science and advanced manufacturing processes. 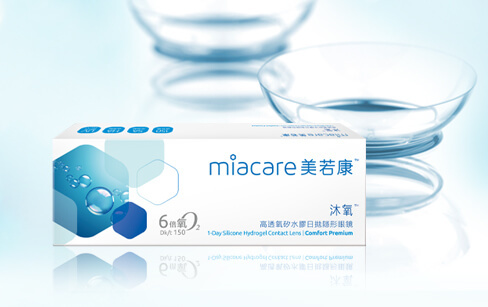 Our contact lens brand “Miacare” is dedicated to vision and eye health. We understand that hypoallergenic concerns and high oxygen needs are the never-ending issues for contact lens wearers. By integrating core technologies in material and manufacturing processes for the research and development of Silicone Hydrogel, Miacare became an industry leader, one that delivers a revolutionary technology that perfectly combines silicone molecules with hydrogel, without the use of solvents.